For horror maestros Peter and Michael Spierig, seizing an opportunity to write and direct a supernatural thriller inspired by a true story weirder than anything they had ever imagined – comes along once in a lifetime. “This is a ghost story. A scary haunted house ghost story. What’s unique about it? It is based on a real person. There’s a real house that still exists. A real situation. A story, a history, with a lot of modern connotations as well. 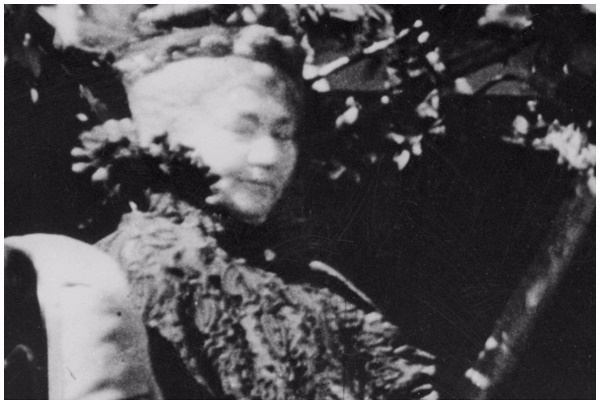 These ghosts haunted Sarah Winchester because of that gun, a real invention. This is about the real woman,” says Peter Spierig. A woman, adds his collaborating twin brother Michael, who “always felt like a woman out of time. That was the lure for The Spierig Brothers to become involved in the Winchester saga. For horror maestros Peter and Michael Spierig (Jigsaw, Predestination), seizing an opportunity to write and direct a supernatural thriller inspired by a true story weirder than anything they had ever imagined – comes along once in a lifetime. What the Australian twin brothers envisioned is a disturbing testament to a historical mystery that can never be fully explained about a creator as confounding as her creation. The film was written by Tom Vaughan and The Spierig Brothers. An exorbitant work in progress – built, torn down, built again. A non-stop year-round construction, its interior lavishly dressed in the finest décor of the day, Sarah’s folly was beyond anyone’s comprehension. Built by the dead, but for Sarah, the dead would keep it. The bereaved widow was building it to confront the unspeakable: Victim or villain, hundreds of vengeful spirits, some good and some bad, were imprisoned in this asylum and Sarah was the warden. 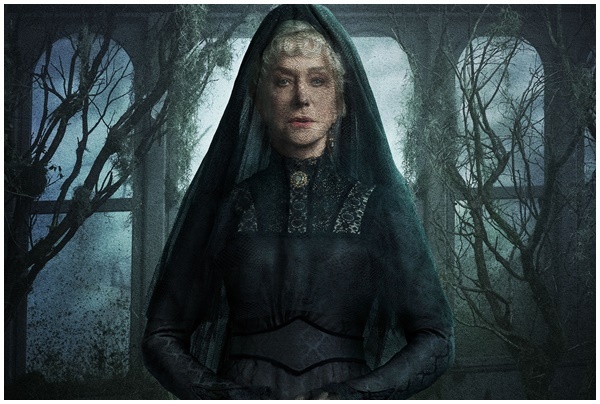 “There’s a lot of mythology around Sarah Winchester,” muses Mirren. “In her lifetime there was a legend, a mythology that grew around her and the creation of this house. This house was built at a time where there was nothing around. Now it’s in the middle of San Jose’s main street – a shopping area. But at that time, it was just empty farmland and in the middle of it was this extraordinary construction, bit by bit being built by this widow who would always wear black and who no one in the local town would ever see. She was private, always in her house. You can understand why a mythology started building about her as the house became more extraordinary, more complicated, bigger and bigger. This mythology has lasted over the years. It’s very difficult to extricate the truth about her from the mythology. “With our film, there’s a span between truth and mythology. I researched the truth of her but it was very hard to get to that truth. Many different people had different ideas about her. But you try to go to the source, to the people who worked with her, to sense what she was like. I believe she was a woman with great empathy, deep feelings (for others). At the same time the fortune that she spent on building this house came from the Winchester rifle fortune. So there is an incredible contradiction between the character of the woman and the source of her income,” Mirren clarifies. The Spierig Brothers (Co-Writers/Co-Directors) are identical twins Michael and Peter Spierig, German-born Australian film directors, writers and producers who have shared prestigious nominations and awards for their collaborative work. Their critically acclaimed sci-fi thriller Predestination, based on Robert A. Heinlein’s short story “All You Zombies”, was nominated for nine Australian Academy of Cinema and Television Arts (AACTA) Awards, including Best Director and Best Adapted Screenplay for the brothers who wrote and directed the film. Their 2003 feature debut, the low-budget zombie horror-comedy Undead financed by pooling their life savings, received the Fipresci Award by the International Federation of Film Critics at the Melbourne International Film Festival. The film was screened at 17 film festivals including Edinburgh, Montreal, Toronto, Sitges, Berlin, Amsterdam and Puchon and was sold to 41 countries. It was released in the U.S. and Canada by Lionsgate Films. The company developed a close relationship with The Spierigs releasing their second film Daybreakers, which opened in 2,500 theatres across the U.S. That 2010 vampire thriller, also starring Hawke, Willem Dafoe and Sam Neill, garnered an Australian Film Institute (AFI) Visual Effects Award for the brothers, shared with Rangi Sutton, James Rogers and Randy Vellacott and, a nomination for the Macquarie AFI Award for Best Original Screenplay. 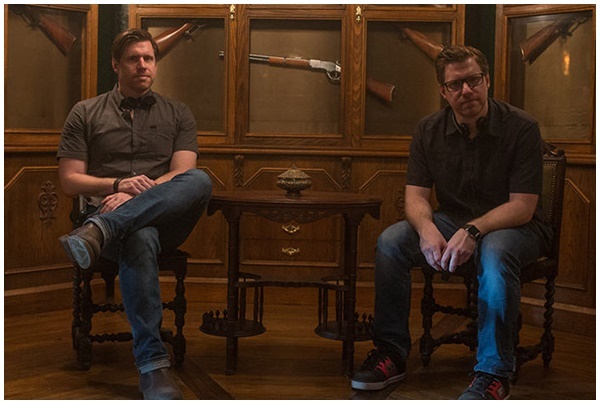 Winchester is The Spierig Brothers’ fourth collaboration with Lionsgate. They co-directed Jigsaw, the eighth instalment of the lucrative SAW franchise, recently released by Lionsgate. The franchise conceptualised by fellow Australian Directors James Wan and Leigh Whannel was an opportunity for the Brothers to visit the horror genre again. To date the film has grossed over 100 million dollars worldwide in its theatrical release. To Michael’s memory, their part in the project began in 2012. “What initially happened was, we read a script. It was called The Winchester Mystery House written by Tom Vaughan with Producer Brett Tomberlin. There were elements to that script that we liked. We were like this house sounds incredible! So, we visited it. Peter and I fell in love with the house, did the infamous house tour – a big tourist attraction. We came on board and worked on the script for the better part of two years, developing ideas, continually researching and going back to the house. We then brought on board Tim McGahan who made a deal with our Executive Producers Benedict Carver and Daniel Diamond and we began to put the cast of the film together. 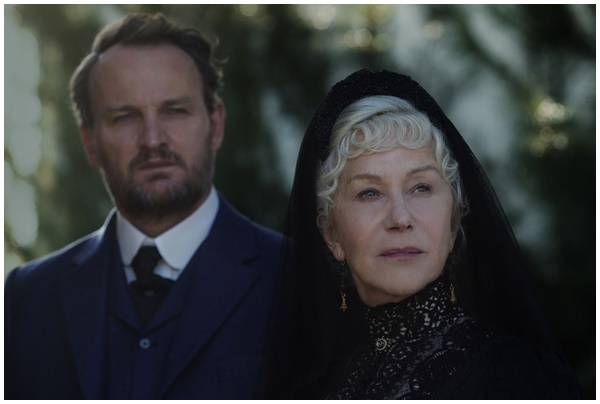 Once Helen Mirren came on board that opened the floodgates: Jason Clarke and Sarah Snook, Angus Sampson, Bruce Spence, Eamon Farren – all of these wonderful actors joined and that was true joy. Tom Vaughan (Co-Writer), who has written for both stage and screen, made his directorial debut on Playing House, which he also wrote. He wrote the 2004 action thriller Unstoppable starring Wesley Snipes. On the small screen, Vaughan penned the NBC movie Critical Assembly starring Katherine Heigl. He began his entertainment career in theatre in Houston, Texas before venturing into screenplays. Vaughan studied at the University of Houston with Broadway legend Jose Quintero and three-time Pulitzer Prize winner Edward Albee. What drew McGahan to the script “was a thriller with more depth, more substance, a human being grappling with guilt and how she tries to reconcile it,” he says. 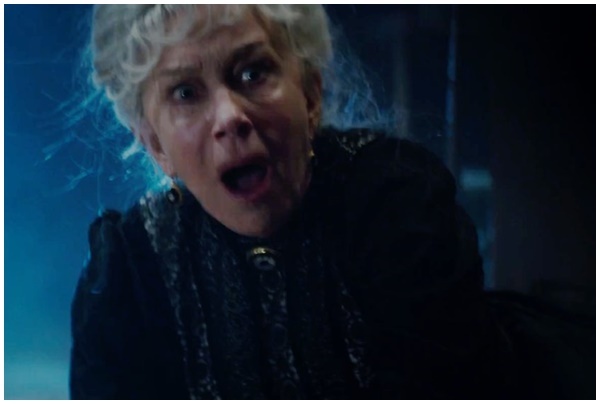 “I liked the idea that it was a true story and that Sarah Winchester had this incredible opportunity because of the Winchester Rifle fortune but there was a catch – the guilt that came from all of the people that died because of it. And when you’re dealing with a real story and real characters you’ve got a responsibility to be true to (the essence) of their story. Working with two directors at the same time was a first for Helen Mirren, with numerous television and film productions to her credit (not to mention all of her theatre performances). As filmmakers, “we get asked that a lot – how the dual directing thing plays out?” he muses. “I guess because we grew up together and sort of fell in love with the same movies, we really do have a shared vision. While casting fell into place after Helen Mirren signed on as Sarah, McGahan says it was another key role that proved a game changer for the film. 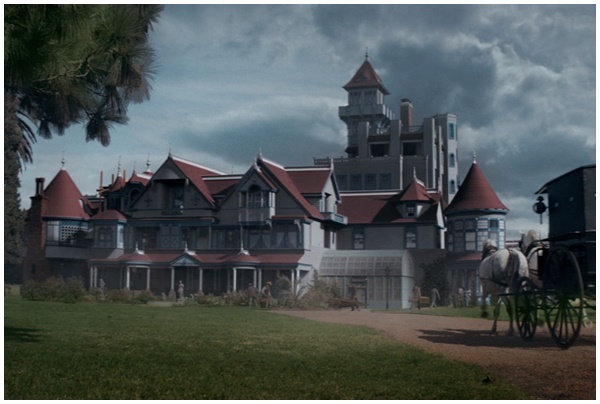 “Jason Clarke’s character Dr. Eric Price is our way into the Winchester Mystery House and to Sarah Winchester. His role is pivotal,” McGahan explains. Price is addicted to Laudanum – a preferred drug to cure many ills for its day, among them depression. He became a user after his wife Ruby’s suicide, and had his own brush with death. 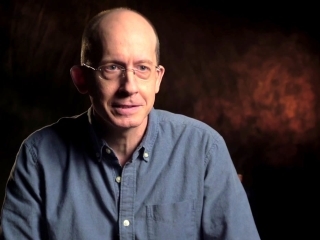 “Price is a psychiatrist who is trying to overcome a horrific tragedy,” says Peter Spierig. “He thinks he’s being hired by the Winchester Board to determine whether Sarah Winchester is crazy. If they can eject her from the company they can take over her share and do what they want, which is create more weapons. At the time, Sarah was also looking at alternative products, trying to branch out and do other things like building roller skates, all kinds of tools. This really did happen. Price, a skeptic who doesn’t believe in ghosts, goes to the house to assess her state of mind with the intention of pushing Sarah out of the Winchester Repeating Arms Company. But it is Sarah who actually has ulterior motives to bring him to the house. Clarke came aboard because he saw The Spierig Brothers’ take on Winchester as “an intelligent thriller. I liked the character of Eric. Helen Mirren. The period – 1906 is a really fascinating time. The fact that it’s a scary, thriller drama, not a slasher horror film where everybody gets killed. And, of course, the Brothers had a deep connection to it.” He had met the Spierigs at a party and seen their film Predestination. “They’ve got ambition, like to challenge the status quo, bring something to the screen rather than just playing it safe in the middle (of a genre) and I liked that a lot.” Plus, it was a chance for the Queensland native to make a film on home turf, Australia. A second chance to work with The Spierig Brothers and their crew was the key reason Snook took the part of Marion. “They’re quite good at using the same people and that creates a certain tone and atmosphere on set. I really love working in that way so in the initial stage, that’s what drew me to the role.” She also reteamed with Scicluna-O’Prey, who played her son on the ABC Miniseries The Secret River, and Angus Sampson who plays Winchester House Foreman John Hanson (the two previously co- starred in the TV series Spirited). “The hardest thing about doing a film like this is how do you make it scary? To keep it grounded in reality,” informs Peter Spierig. “When you have truth, a real story about a real place and a real person, that makes it really terrifying. Michael and I like to misdirect with scares – where you think it’s going to happen on this beat or at this moment and then it happens later or earlier, or goes in some other direction. That makes it a little scarier. But when the people are real, some part of you has to care and that is what makes it more terrifying. You want them to get out of that situation. You want them to survive. As to whether the brothers believe in ghosts? “I do believe that there is an energy source in all of us that may float around after we leave our bodies,” concedes Michael. If Sarah built the house to confront those vengeful ghosts in life and she died in that house…is history really doomed to repeat itself?